Foreclosure homes for sale can be one of the most cost-effective ways to buy real estate in today's market, but it's important to understand that securing the best deals means knowing exactly the right steps to take. The following is a step-by-step guide on how to pursue foreclosure properties so that you'll be prepared to spot the best deals right away and know how to take advantage of them like a professional. The Foreclosure-Support.com search tool is the perfect way to find these kinds of properties. The key is to start out at a broad level and narrow your results to more specific details as you go. First off, you'll be able to search for your properties by location. Whether you're looking in a certain county, town, city or zip code, parsing your results by location will make it much easier to review the listings available. From here, you can click on the tabs above your search results to view properties by type of foreclosure, including bank owned homes for sale, pre-foreclosure properties, and upcoming auctions. The next step is to get into the specific details of what you're looking for. What sort of price range are you considering? Do you want a specific number of bedrooms and bathrooms? 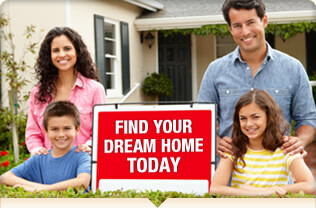 Are you looking for single-family residences or multi-family units? These are all important details, and you can use this information to narrow your search even further. However, we recommend leaving this step to the very end of your search. First, get some broader search results and spend some time looking around at different listings to get a sense of what's out there. The more you see, the more you'll be able to know what you want and then narrow your results accordingly. Even if you don't plan to have an agent or broker help you with your purchase, consulting one before a sale is a great idea. You can ask them questions not only about buying repo homes, but also about the local markets where you're looking to buy. They can often provide valuable details and insight into neighborhoods or regions where you can find the best investment value and potential for future profits. Once you've found a few listings that you really like, you can start to make inquiries about them. This stage of the game is when you want to make your interest known to those in charge of the sale of the foreclosure property and start to drive the deal home. If you're going to pursue a pre-foreclosure, you're going to be dealing directly with the homeowner, and this process is a little different than negotiating with a trustee of the lender or an auctioneer. Often times the best way to make first contact with a homeowner is by mail. Send them a letter explaining that it came to your attention that their home was in the pre-foreclosure stage, and that you are interested in buying their property before a foreclosure sale or auction occurs. In many cases, homeowners will be responsive to this kind of inquiry, because it is in their best interest to sell before a foreclosure sale is carried out. After they have had a chance to think about your offer, then you can try calling. Once you do get in contact with them, don't assume the deal is a sure thing. Schedule a meeting with the homeowner to learn more about the property and find out what kind of price they're asking. Use the time to negotiate, and as with any foreclosure, never be afraid to walk away and go on to the next listing if it doesn't seem that you're likely to get a good deal. Contacting a foreclosure trustee is a different process altogether. Trustees are representatives of the lender in charge of the foreclosure sale, and they are the buyer's point of contact for a sale. Talk to a lender to learn details of the sale, as well as to schedule a time at which you can view the property in person. It's important to stay in touch with the trustee as well. It's often a good idea to give them your contact information so they can get in touch with you should anything regarding the sale change, or if it needs to be rescheduled entirely. If you're looking into buying a government foreclosure or bank REO home for sale, you'll need to get in contact with the person in charge of the property at the bank or agency in question. This information is provided through the listing as well, and dealing with these kinds of sales is much more similar to buying a home through an agent. The advantage to this method is that it can be very simple to set up viewings, negotiations and ultimately secure a purchase with banks or government agencies, and they still offer great chances for huge discounts. Before you make an offer, be sure to get a thorough assessment of the property you're looking to buy. Have an independent appraiser give you an estimate of the property's market value, and be sure to have a contractor accompany you on a property tour so that they can give you an estimate on any repairs that will need to be made. This cost, as well as the property's true value, should factor into your assessment of whether or not the deal is worth taking. Remember, the goal in buying a foreclosure home is to put as much space between the price you pay and the property's potential market value as possible. Calculating all costs and values is of the utmost importance. It's also a good idea to perform a title search on the property and check for any additional liens held against it. If you miss something, you could end up incurring an extra cost after you buy, hurting the value you stand to save. Once you've accounted for all costs and made sure that you still stand to gain a good value on purchase, it's time to determine your maximum bid. This is the maximum amount you can stand to pay before the costs of a foreclosure purchase will outweigh the savings. You can find this figure by subtracting the total of all costs from the estimated market value of the property. Under no circumstances should you pay more than this amount, and ideally, you want your bids to stay well below this amount to maximize your savings. Start with low bids, and if it seems like you're not going to get the price you want, don't be afraid to walk away and pursue a different listing or property. Keep in mind that there are lots of deals out there, and if you don't get the price you want on the first one, there are plenty of other opportunities available.